The BerlinGutsrieslingCup 2016 took place in Berlin, Germany, a few weeks ago, orchestrated by Martin Zwick. 45 wines were included in the tasting. 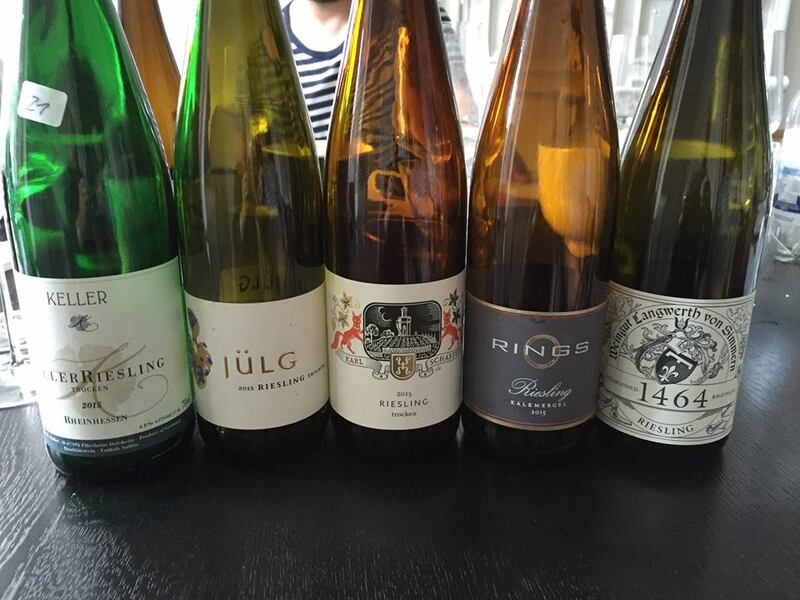 They were blind-tasted by a group of sommeliers, wine writers and wine retailers. “Gutsriesling” is a combination of Gutswein (Estate Wine) and Riesling: Rated were wines that fulfilled the two criteria – being a Gutswein and a Riesling (from Germany). What is a Gutswein – Estate Wine? Gutswein is a term introduced and used by the members of the VDP association, Germany’s elite winemakers. A Gutswein is an entry level wine of a VDP member. Martin Zwick was initially known for organizing the BerlinRieslingCup every year. 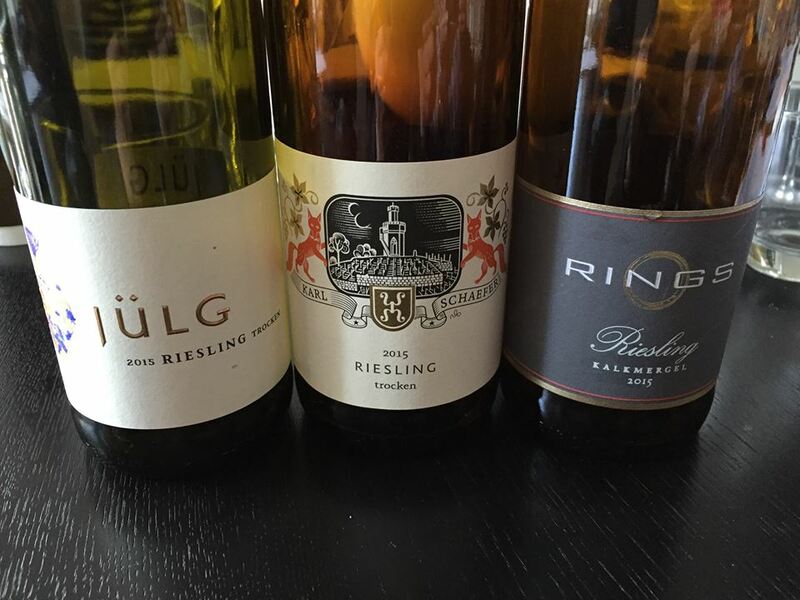 The BerlinRieslingCup is about Germany’s ultra-premium dry grand cru (Grosses Gewaechs) Rieslings from Grosse Lage vineyards. It typically takes place in the second half of September, following the release of the Grosses Gewaechs wines of the previous year. Thus, there are now 4 BerlinCups: BerlinRieslingCup, BerlinGutsRieslingCup, BerlinKabinettCup and BerlinSpätburgunderCup. Following Lunch at L’Auberge du Pont de Collonges, Paul Bocuse’s restaurant in Collonges­ au­ Mont­ d’Or, we drove to the North through the Beaujolais Region to Domaine Ferret in Fuissé, Pouilly­ Fuissé, Mâconnais. There, Audrey Braccini, Winemaker and General Manager of Domaine Ferret, was our host. We took a quick vineyard tour, followed by a visit of the newly constructed modern winery, were we had a tasting. Domaine Ferret has played a key role in defining the quality of the region. It was the first Domaine in Pouilly-Fuissé to begin bottling on the estate, shortly after the Second World War. Further, its long-standing focus on vinifying each parcel of vines separately has allowed for the identification of the top terroirs. The Domaine Ferret portfolio falls into three tiers: Classic, Têtes de Cru and Cuvée Hors-Classe. The Tête de Cru and Hors-Classe parcels that have been identified are a precursor to the stratification of the appellation system (which is currently under consideration by the Institut National des Appellations d’Origine). As in the Côte d’Or, the wines in each range reflect their particular terroir, and these top cuvées are produced only in great vintages. Under the formidable leadership of Jeanne Ferret, who ran the house with a rod of iron for half a century, Domaine Ferret became a major force in the region. She was well into her eighties and still very much in charge when her daughter, Colette, joined her in 1992. Jeanne Ferret died in 1993. Colette Ferret died in 2007, leaving no heirs, and so after 150 years in the Ferret family, the Domaine was put up for sale. When Louis Jadot bought Domaine Ferret in 2008, Audrey Braccini was appointed Winemaker and General Manager of Domaine Ferret. Audrey Braccini was born in 1979 in the Lorraine region of northeast France, where she grew up admiring her father’s dedication to cultivating his wine cellar. Inspired by his passion, Audrey Braccini moved to the heart of the renowned wine region of Languedoc-Roussillon, and enrolled in Montpellier University’s prestigious enology program. After successfully earning a master’s degree in vineyards and wine, she launched her career in Beaujolais the Fleurie Co-operative. In 2008, Braccini’s talents earned her the position of Managing Director and Winemaker for the historic Domaine Ferret estate in the nearby Mâconnais region. Drawing on her years of experience and expertise, she dove headfirst into the regional Chardonnay and Pouilly-Fuissé appellations. Audrey has made many small changes, for example trying to avoid using commercial yeasts, whereas before 2008 Ferret used only commercial yeast, chosen for reliability. And Louis Jadot has made an extensive investment too: we took a five minute stroll from the original winery to a slick, efficient and modern new winery tucked behind a village wall. It opened just in time for the 2012 harvest and gives Audrey a huge amount of extra space to work with, and complete control with three bladder presses so grapes never have to wait to be pressed, and an all gravity-flow winery built on site that slopes four-metres from front to back of the winery. Since 1840 Domaine Ferret has had an uninterrupted tradition of women as directors/winemakers, a tradition that has been continued by Audrey Braccini since 2008. The Pouilly-Fuissé vineyards lie on a narrow band of land in southern Burgundy. Since the creation of the appellation in 1936, only wines from the villages of Chaintré, Fuissé, Solutré-Pouilly and Vergisson are authorized to bear the Pouilly-Fuissé name. Domaine Ferret’s estate vineyards are comprised of 18 hectares throughout the Pouilly-Fuissé appellation; 14 of these are located in the amphitheater of hills surrounding the town of Fuissé and 4 are near the Roche de Vergisson, in the north of the appellation. The spectrum of rocks present in Fuissé is the most diverse within the Maconnais, and the Ferret vineyards, which are spread across the appellation's entire range of soil types, is one of its best ambassadors. The soils can be poor, made up of hard limestone and even calcite, but they can also be richer clays, based on alluvial marl deposits, schist's and even volcanic-sedimentary pebbles. More than 330 million years separate the most ancient of these rocks from the most recent deposits. These foundation rocks, located on the eastern fringe of the Beauregard plateau, are made up of limestone deposited by ancient lakes. Domaine Ferret practices sustainable viticulture. This basic level of green viticulture shows an awareness of the need to preserve the environment, promote biodiversity and maintain soil health by minimizing the use of chemical treatments, among other approaches. Domaine Ferret is owned by Maison Louis Jadot. Maison Louis Jadot was founded by Louis Henry Denis Jadot in 1859 and is a family wine company that produces and markets Burgundy wine. It operates both its own vineyards and also buys grapes from many growers. It controls 270 hectares of vineyards in Burgundy (including Beaujolais Crus) and produces only AOC wines. In 1985 Maison Louis Jadot - excluding the vineyards, which remained the property of the Jadot and Gagey families - was sold to the family of Rudy Kopf, who also own Kobrand, Jadot’s US importer. In 1997, Maison Louis Jadot ventured outside of the Beaune region for the first time, purchasing the substantial holdings of Chateau des Jacques in the Beaujolais, one of the most important estates of the Moulin-à-Vent appellation. Today, Maison Louis Jadot controls 225 hectares of vineyards in Burgundy, of which 119 hectares lie in the Côte d'Or: Domaine des Héritiers Louis Jadot, Domaine Louis Jadot, Domaine Gagey and Domaine du Duc de Magenta. The Domaine des Héritiers Louis Jadot has long belonged to the Jadot family. Domaine Louis Jadot grew in 1985 with the purchase of Domaine Clair Daü. Domaine Gagey has belonged to André Gagey's family for generations. The Domaine du Duc de Magenta belongs to an established Burgundian family that has given Maison Louis Jadot the right to vinify and sell the wines from its vineyards of Chassagne Montrachet Premier Cru Morgeot Clos de la Chapelle and Puligny Montrachet Premier Cru Clos de la Garenne. Maison Louis Jadot is settled in Beaujolais since 1996: the Château des Jacques property includes 80 hectares of Moulin à Vent, Morgon, Fleurie and Chénas. In 2008, Maison Louis Jadot bought Domaine Ferret, which is located in the heart of the Pouilly Fuissé appellation. Kobrand is owned by the 3 daughters of the firm's founder, Rudolph C. Kopf. Kopf was born in the Queens in New York City and graduated from the University of Columbia's Business School in 1927. All his youth, he lived under prohibition. Prohibition was repealed by President Franklin Roosevelt, when he took office in 1933. It was in that year that Kopf started a wine and spirits department at New York's famed Macy's department store. Under his guidance, it became known as one of the best shops in the country and Kopf established himself as an industry force. In 1944, at the age of 38, he struck out on his own and formed his own wine and spirits marketing company, which he called the Kobrand Corporation. Although light on money, Kopf was well connected, having established relationships in the wine and spirits business around the world. Kopf's big break came in 1945 when he lined up his first major wine brand to represent, Maison Louis Jadot, which was established in France in 1859. With the Jadot business in hand, Kopf's next notable achievement was landing a spirits brand: Beefeater Gin. A third key brand acquisition in another important category, champagne, took place shortly after the Beefeater deal, when Kopf secured the marketing rights to Taittinger Champagne. In 1985, Kobrand bought Maison Louis Jadot. Only a few months after the Jadot deal was completed, Kopf died at age 80 and his three daughters shared in the ownership of Kobrand. Also in 1985 Kobrand acquired its first stake in a California company, Napa Valley's Sequoia Grove Vineyards. A year later, Kobrand turned its attention to Northern California, forming a joint venture with Taittinger called Domaine Carneros. Kobrand added further to its California interests in 1987 when it reached a marketing agreement with Cakebread Cellars. The year 1987 also marked the end of the relationship with Beefeater Gin. In the late 1980s and early 1990s Kobrand added a host of brands, making the firm a major marketer of Italian wines. These labels included Sassicala, Ornellaia, Terriccio, Spalletti, and Chiehe Chiarlo. Kobrand continues to be a family company, owned by the founders three daughters. At the end of the tour of the new winery, we were offered a tasting in the winery. We tasted the following wines. The Pouilly-Fuissé is a blend of the best vineyard parcels with 10- to 35-year-old vines from the Fuissé amphitheater of limestone and clay soils. Each parcel is vinified separately to ensure the finest expression of the fruit. Half the wine is fermented in enameled tanks and half in used oak barrels. This is a powerful wine that offers refined flavors of fresh almond, apricot, yellow fruit and minerals. 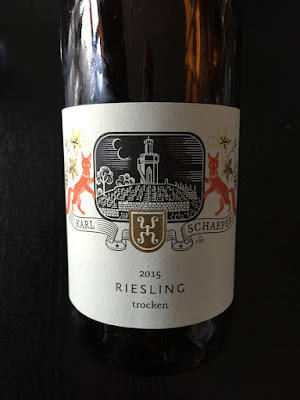 Overall it is vivacious and balanced, with an exceptional, intense finish. Les Perrières is situated on a sloping southeast exposure just above the Le Clos parcel, and has limestone and young clay soils. The vines are an average of 35 years old. The wine is fermented in oak barrels before further barrel maturation, a part of it on the lees. Opens with floral and spice notes on the nose and palate. A generous, creamy mouthfeel complements a nice ripeness and intense richness. The wine is ample, smooth and well balanced, with a vivid, spicy finish. With age, it will gain in richness and fully reveal itself. Les Ménétrières is a southeast-facing vineyard less than one hectare in size that borders the village of Fuissé. One third of the vines are 40 years old; one third are 20, and a third are 10. The upper half of the vineyard is planted on shale, while the lower half is planted on pearly slabs. The soil is composed of alluvial deposits, a mix of deep silt and clay with few stones. The subsoil features streaks of limestone and limestone marls, while top layers are rich in stone-free limestone deposits and light marls. Fermentation takes place in oak barrels, of which 20% are new, and is followed by a period of six months’ aging on fine lees. Situated in the northern Fuissé region, bordering on the hamlet of Pouilly, the Tournant de Pouilly vineyard of just under one hectare lies on an east-facing slope. Old vines of an average 50 years old are planted along a narrow band of pearly slabs of fossilized oyster shells that twist their way between Fuissé and Pouilly, which give this wine a linear, mineral character. There is deep, limestone-rich silt and clay containing a few stones, as well. Fermentation takes place in oak barrels, of which 20% are new, and is followed by a period of six months’ aging on fine. Aromas of grilled almonds and lime-leaf tea with notes of wax preced rich, luxurious flavors on the palate, balanced by precise minerality. The finish is particularly long and intense, and this wine can age for 10-15 years. Thanks Audrey for a great tour and tasting. The wine bars are in alphabetical order. Open until 2:00 am daily. 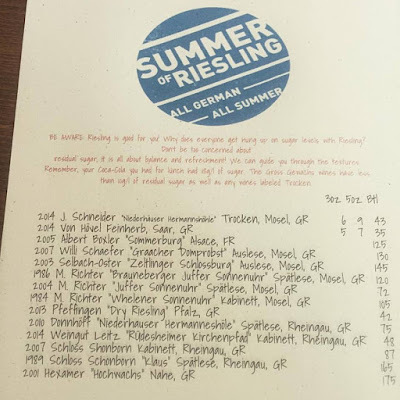 Bin 152 has a selection of 30 wines by the glass and more than 100 wines by the bottle, a nice blend of Old and New World. Wines by the glass start at $7 and bottles of wine start at $30. In terms of food, Bin 152 has a most interesting assortment of cheese and charcuterie to accompany the wine. Among the top wine lists in town. There is live Jazz every evening. Topher Cassidy: Awesome place. Acacia Pinot Noir is amazing. Great place to have a cigar, a glass of wine, and listen to live acoustic music. When you enter the restaurant you will notice an astonishing three story wine wall to your right. The wine comes from all over the world. There is clearly a focus on well established estates. You find quite a selection of grand cru Bordeaux wines. All in all, about 300 bottles on the wine list. Housed in a timber-framed 6,000-square-foot warehouse, it's the kind of brewery-restaurant that has a lot of everything for everyone. There are 40-plus beers on tap. But Edmond’s Oast also has a short, yet most interesting wine list. An interesting place in general. However, people do not come here for the wine but for the beer. Fig – food is good. 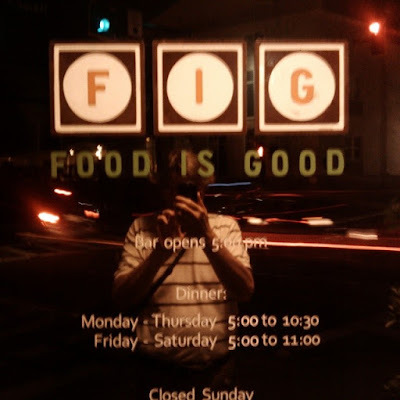 FIG is an interesting restaurant located in the heart of downtown Charleston, serving seasonally inspired cuisine with a commitment to using local and sustainable foods. The bar is a popular place for appetizers and the wine list is interesting. A lot has been written about Husk. It's all Southern, all the time. At Husk you will eat what is popping out of the ground this minute, and maybe even look at an old classic in a new way. Next to the restaurant is a separate bar. Husk has a very innovative wine list. The wines are not grouped by regions are by grape varieties, but by terroir type: SLATE - Slate is a dark, plate-like metamorphic rock formed under low pressure. It retains heat and water well. Often gives the wine a “flinty” taste. CLAY. LIMESTONE - Limestone is made primarily from fossilized seashells. It possesses the ability to store water for irrigation, which is essential for wine growth. Its alkaline nature encourages high acidity grapes to flourish. PRIMARY ROCK - Primary Rock is a term used to describe rocks being first formed containing crystalline and no organic remains. These soils usually warm quickly and hold heat well, they allow the vines to dig deep to find nutrients needed for growth and have the best possible drainage. VOLCANIC - Volcanic soils have two types; vent based and lava based. Volcanic influenced soils are found to have some of the most nutrient rich soils for vine growth. Among the top wine lists in town. McCrady’s also has a very nice bar, which features an amazing wine list, as well as a diverse and delicious bar snack menu. Each day, a chalkboard above the bar will offer several featured snacks. 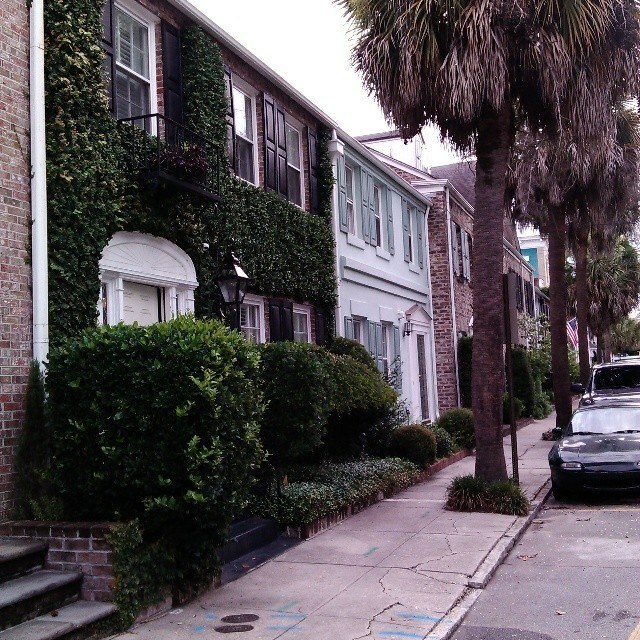 Located off the beaten path on Society Street. A cozy dining area, in addition to a fun bar area. Robert Moss: With dozens of good selections by the glass, Muse’s wine list is among the most comprehensive in town. Whether you snag an outdoor table in the small courtyard, a cozy seat in one of the small dining rooms, or a stool at the wine bar in the front room, you’re bound to have a pleasant Mediterranean journey. Yelp: This is a great little wine shop/bar located in a busy part of town yet manages to stay low key. The atmosphere here is what every wine shop should strive for. Lite music playing in the background and candles set the mood for a relaxing glass of wine. Service was personable and attentive without being overbearing. We were left to enjoy our meal and wine at a leisurely pace. They offer a great wine list with reasonable prices and nice size pours. Open until 2 am daily. Upscale cocktails. Wines by the glass. Craft beers. Plus nibbles like homemade sloppy joes. Proof is an intimate craft cocktail bar with an extensive wines by the glass list and a real good beer list. A neighborhood bar serving natural wines, classic cocktails and beer from around the world. Stems and Skins' wine list features rotating selections curated by former Husk Sommelier Matt Tunstall and with plenty of red, white, and sparkling as well as ciders, sherries, and even vermouths. Matt says many of his ferments come from small batches, so expect to see plenty of variety in what's available night-to-night. Matt and his wife Angie man the bar each night and serve small plates and cheeses. Washington Post: Anything but ordinary, this seafood attraction -- a sister to Fig set in a former bank -- impresses diners with its art deco bones and sublime surf. Cue the hush puppies stuffed with diver scallops and served with chowchow tartar sauce.